In this unlimited abundance review I will be providing you a detailed information on this energy clearing course and we will take a close look at how it can change one’s life. Christie Marie Sheldon is an intuitive coach who has been very much praised by many of her clients (including a couple of popular names) for how she has helped them to thrive in various areas of their lives using her spiritual gifts. Few years ago she conducted an online training with Mindvalley named Unlimited Abundance for a few selected people. 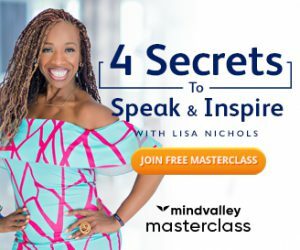 The great positive response she received from that group led Mindvalley to take the recording of those sessions to prepare a program for people who were demanding it, and that is how this unlimited abundance home training program was created. I have been following her works for a very long time and since I have already bought her love or above course before, so I opted for this program despite of being a little skeptical about it initially. Not only I have been able to improve my life in various ways using the tools she offers in this course, but I have also had some profound spiritual experiences with these sessions, I will get there later on, first let me answer a basic question. See, many spiritual teachings point towards an energy body which surrounds our physical body; which is also often referred as aura. This energy varies from person to person depending on their deep inner beliefs and emotional states. The beliefs I am talking about here are the ideas that got ingrained in our subconscious mind due to the past events and what has been taught to us by our family and society when we were kids, these ideas are like the programming codes that makes us who we are now. No matter how hard we try to change something in our lives on the outer level, it cannot happen unless we eliminate the limiting beliefs present in our inner mind associated with that particular area. Haven’t you seen how some patterns keep on repeating in a person’s life in different ways? That’s due to their inner beliefs and when you are able to get rid of the limiting beliefs which were causing those patterns, things change. What Christie does with her energy healing is that she guides you though a short meditation and brings the beliefs that blocks your abundance to your conscious awareness, then she eliminates those beliefs using her clearing statements. When your beliefs change, your energy change, and when your energy change, your results change. This is how it works. 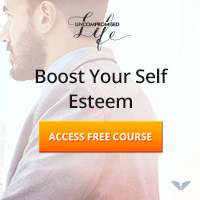 In this program you actually don’t have much to do apart from listening to these sessions, it keeps on removing all the negative ideas that stop you from improving in any area of your life. It would be most effective if you follow it properly by making the notes and doing the homework as she asks you to do in every session, but just hearing these audios also does a lot of inner work. You don’t always need to know the exact beliefs to get rid of them since this energy clearing thing works on a deeper level. 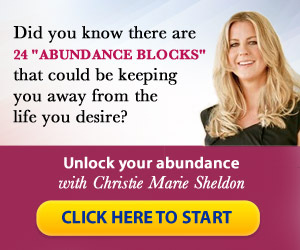 Christie explains 24 common abundance blocks that causes struggle in most people’s life on the product website, and every session in this program is prepared for clearing each of these blocks. This product is promoted focusing on helping people to manifest wealth, but as a user of this program I have found that the sessions cover a lot more than just that, in fact you can use the clearing statements she teaches for any purpose. 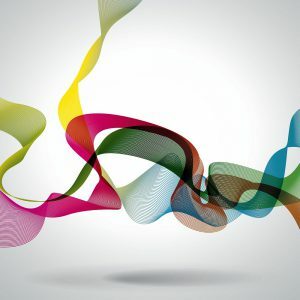 These 24 audios are 45-70 min long; some sessions will highly impact your emotional state since many of your long held limiting beliefs leave you while doing this. I have had different types of emotional experiences with these audios; some were intense especially when I listened to them for the first time. Like in the second module where she performed an energy clearing on the belief “I am not worthy of being loved”, it is a bit embarrassing for me to say this, but I will be honest, the first time, I cried for about 15 minutes after that session for no reason. Initially, on some days I felt filled up with a lot of positive emotions and sometimes I had some heavy, disturbing feelings, but slowly I learned that all of it was happening because my energy was changing. You may feel very reluctant to go through these sessions sometimes, but I would advise you to keep doing it because these feelings are just due to the release of the old energy patterns. Manifestation stuff works in different ways for different people, I didn’t see any big change in my outer world for a long time, but the changes in my emotional states made me to believe in this program. With time, these intense emotional responses that I used to have after the sessions stopped, but I learned to use the modules for my specific purposes. This energy block clearing course is not a one time solution; you will have to go through this course repeatedly as you keep progressing. We all have like limiting beliefs that are huge like mountains, so every time we successfully clear one block a new one shows up. If you want to keep advancing then you will have to keep doing the inner work. 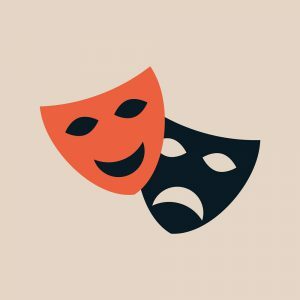 Clearing the fear of change – I often play safely, so I need this session whenever I am stuck in a particular state. I found it extremely helpful because sometimes fear of change makes us to take the actions that stops any potential change in our life. Clearing fear of growth – I love the garden meditation in this session, I have had some very essential insights while doing this meditation. Clearing fear of rejection – Rejection is something I have feared more than anything, and this module has made it easy for me to deal with constant rejection. Clearing family blocks – This is something we all have in common, we usually either follow the path of one of our parents or we live to prove them wrong, it is a very dangerous unconscious intention, so this energy clearing is pretty much important for all of us. Generate your future self – A very interesting module, here Christie makes you to imagine your future self the way you want it and get direct advice from that imaginative figure. This may seem like a kid’s game, but it helps you to receive some great ideas from your higher self. As I have mentioned before, you don’t have to actually know what has created an energy block in order to get rid of it, as the modules will do it for you. But we all have had few incidences in our lives that affects us very deeply and usually we are not even consciously aware of them. So, sometimes while going through these sessions you may get glimpses of the past that might have caused a particular energy block, most of these incidents are from your childhood. This scene from childhood popped up while I was listening to one these audios – There was a teacher who used to punish me a lot in school when I was just about 6-7 year old, he had some kind of hatred towards me and he used to treat me with a lot of anger always, I hated going to school because of him. All this resulted in a subconscious belief that “I am not good enough”. Isn’t it disgusting that due to the opinions of a particular authority figure a child forms such false beliefs about himself? We all have such issues, it is just that we are mostly not aware of it. I am still working on replacing this particular old belief and definitely I am improving in all areas of my life. There are many such realizations (it will take a book to illustrate them all), but what amazes me is that despite of my involvement in so many spiritual activities and personal development programs I never knew that I have been holding so many false stories in my inner world. You can alter your inner programming with the help of affirmations and visualizations as well, I have written about few such ways in my post “Allow Your Abundance“. But I have never found a more effective and easy way to do it than the energy clearings that Christie performs. I recommend this course in many of my blog posts here, so I have no reason to stop you from buying this product and I believe that this would prove out to be one of your best personal growth investments. In case you find it hard to believe in something like energy clearing, I have made a post based on my UA buying story which you may find interesting – Is Christie Marie Sheldon’s Unlimited Abundance a Scam? I hope you enjoyed this post. What are your honest views about this product and Christie Marie Sheldon? Do you have any past experience of energy healing? I would love to hear from you, so please do share your thoughts with me by commenting below.